When you first receive the device in your hands, you will get impressed by seeing how well-built it is. It is solid and compact but is lightweight. It is suitable for dry and wet shaving. It comes with an ergonomic design which makes it easy to hold and use. The only problem can be that it is missing a place to keep your thumb which can make you lose balance and drop it. It comes with a cartridge, cleaning brush, carrying bag, instructions manual and the device itself. The company claims that this beard trimmers comes with the sharpest blades possible. Therefore, while you use it, you will get precise results and the best experience in shaving. Do not put too much pressure, you will get cut. It has four blades as you can tell from the name instead of three or two. The name is Nano blades and sits at a 30 degrees’ angle which lets the beard trimmer slide across the skin. The motor is powerful and the top part pivots at 8 mm side to side and up and down. You can get excellent results whether you are using dry or wet. You will get a close shave in both settings. 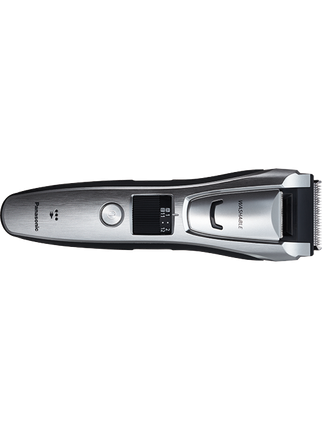 The electric trimmer is perfect if you want to give yourself the stubble look. You should pay attention to difficult areas such as under the nose because you can miss the spots if you are not noticing. If you have sensitive skin, you cannot miss this one. It will not pull or tug on skin and makes sure there is no friction. If you are someone who gets razor burns, you should be able to utilize the wet shaving for skin protection. 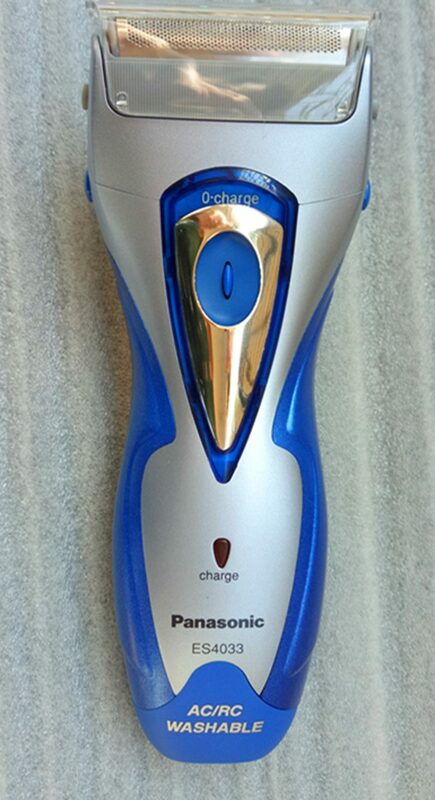 You can charge it completely under 60 minutes and it is one of the fastest charging beard trimmer in the market. It has a LED light indicator to tell you how much battery life is remaining. You can use it for weeks before recharging the device again. It is fully waterproof, therefore cleaning it is not a challenge. You can use the brush that comes in the package. It takes a minute to clean the device. You have to replace the blades every two years. Even if you use it for wet shaving, cleaning is not a chore. There are four cutting blades that makes it stand out from others. It comes with a slide-up trimmer for facial hair and sideburns. If you want to travel, this is going to be useful since you do not have to charge it before two weeks. Most beard trimmers are water resistant but this is waterproof. Do not use the charger in the shower though. Use it as cordless when you are in the shower or going for wet shaving. If you are in a rush, this does the job of quick beard trimming. This entry was posted in Panasonic on January 3, 2018 by Professional Beard Trimmer Reviewer. If you are looking for something of high-quality but with an affordable price tag, this is the one for you. 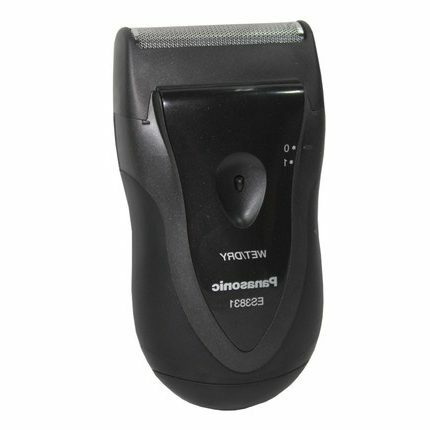 There are other renowned and famous companies manufacturing beard trimmers at this price in fact slightly more than the cost of this one but surprisingly they do not work properly. 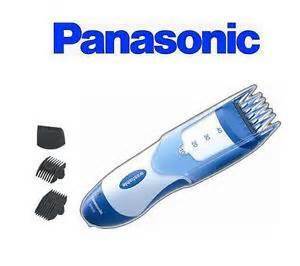 The Panasonic one is the best out of all the rest when you are looking for a high-quality beard trimmer at a very small price. It is designed to be a travel shaver but you can also use it daily and will work like magic. If you want value for money, then this is the one for you. The shaver comes with a head that floats which make shaving comfortable and easy. It will be cordless but runs on batteries that can make it last for months. If you are going out of town, you should purchase extra batteries so that they can work smoothly. Two batteries are sufficient for a trimming session of 90 minutes. Some people have used it more than 90 minutes with two batteries! There are no multiple blades but the single one takes care of it all. You can use it for more than a year and the blade will still feel like the first day you bought it. The interior blade is precision-angled to cut off hair till the sin level. The angel is 78 degrees. The motor operates at 8500 RPM which is not that fast but suitable when you are travelling. The foil head enables its floating properties. That means it moves according to your face and goes by the angles in your face without pulling in any hair. The best part is that you can use it for both dry and wet. This feature is not even present in many expensive trimmers, let alone cheap ones. The device is easy to grip because it has the best design which makes it ergonomic. It will not fall or slip from your hands even if you are using it in the shower. It weighs less than half a pound so it is not adding any extra weight to your luggage. It is light-weighed and you can take it anywhere without trouble. The beard trimmer is perfect for you if you thick beard but sensitive skin as well. It is going to protect your skin as you trim because it is free of nickel. The label says that it is “hypoallergenic” and if you have skin problems or allergies, this should be helpful as it has a stainless-steel foil. It is an unchallenging task to clean this because you can rinse it under water. There is a cleaning brush so that you can keep it clean. Make sure to get additional water off and rub it off with a towel and let it air dry. It is suitable for trimming hairs in ears as well. In the package, you will find the trimmer itself, cleaning brush and the plastic foil guard. If you are travelling, you have to store in a bag. This shaver will work best for styling moustache and beard. 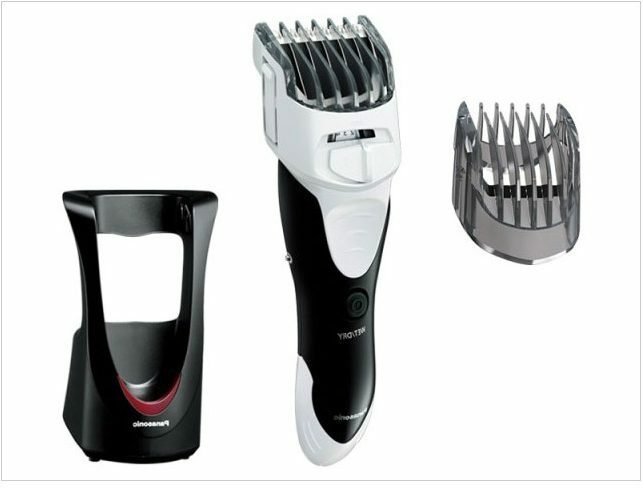 It is perfect for beginners who never used trimmers or shavers before. The ER GBS 60 S is a beard trimmer that receives a lot of praise from its user and has a high rating everywhere. Panasonic is famous for manufacturing innovative and premium quality products. 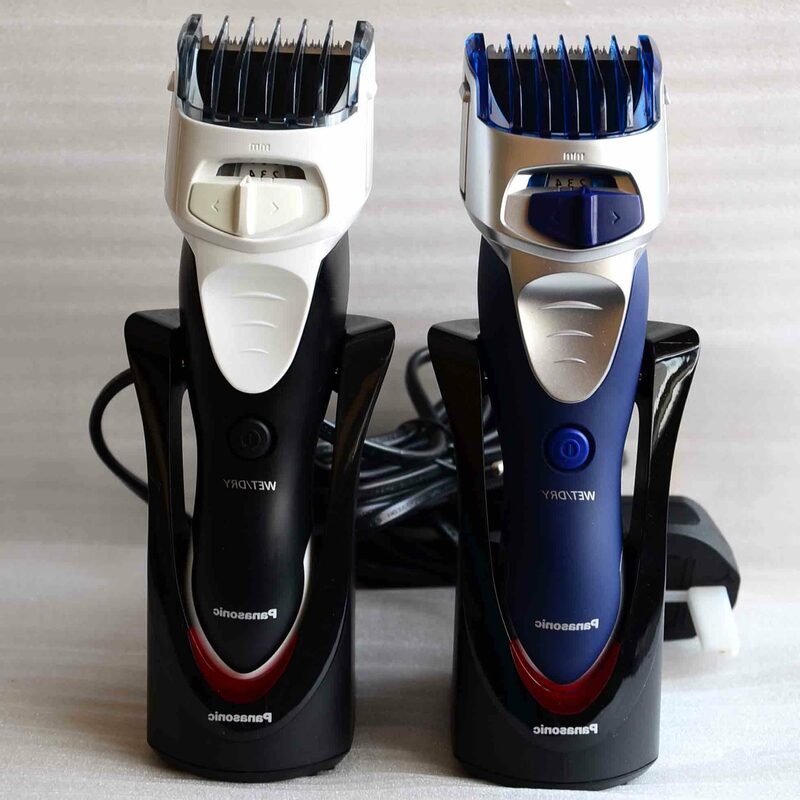 It is another outstanding beard trimmer from the company so let us explore more about it. The device is cordless and 100% waterproof. The blades are ultra-sharp and set to 45 degrees and crafted from stainless steel. 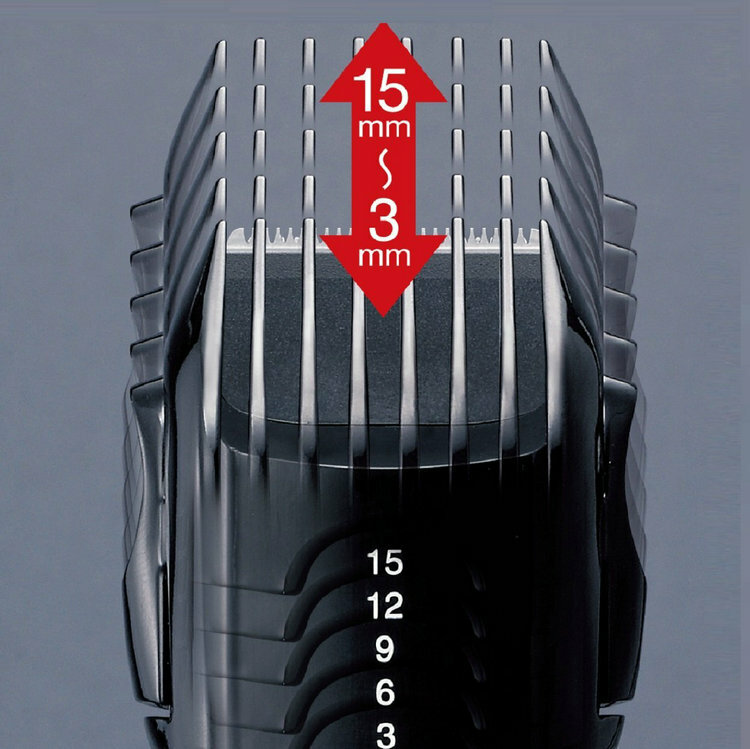 There are ten different trim settings for tailored style and look. There is no need to worry about attachments getting lost here and there. The settings in built-in. Select the length using the switch. It crosses all the limits of excellent grooming equipment, comfort, convenience and finesse. If you are fan of both wet and dry shaving, you can use this in both situations. You can take it in the shower with you. If you are going for a shorter look wet shaving can be soothing and for a long-bearded look, it is better to opt for dry one. The tool offers support with both situations. There are two comb attachments where you can utilize one during hair cutting at 1.0 mm an another is the dial adjusting attachment which is from 2.0mm to 10.0mm. Maintenance is effortless when you have a tool that is fully waterproof. It comes with a beautiful charging stand that is suitable to display your beard trimmer. It comes with a solid AC charge that will charge the tool in just one hour to make it run for 50 minutes. 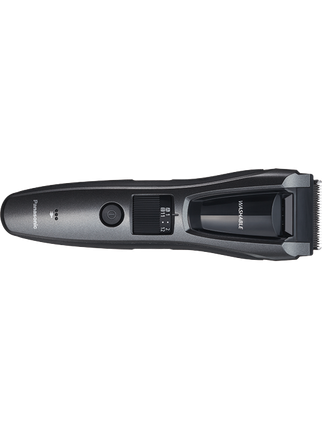 That is truly an exceptional feature in a Panasonic beard trimmer as most of their devices take more time to charge such as the ER 217 takes 8 hours, the ER ER224S takes 8 hours and so on. The design is ergonomic making it easy to use. The handle is made from rubber which ensures maximum comfort and total control. The package comes with cleaning brush to make it cleaner after usage. When a beard trimmers stays clean, it lasts for a long time. You can use it to shave your completely without feeling any sort of pain. 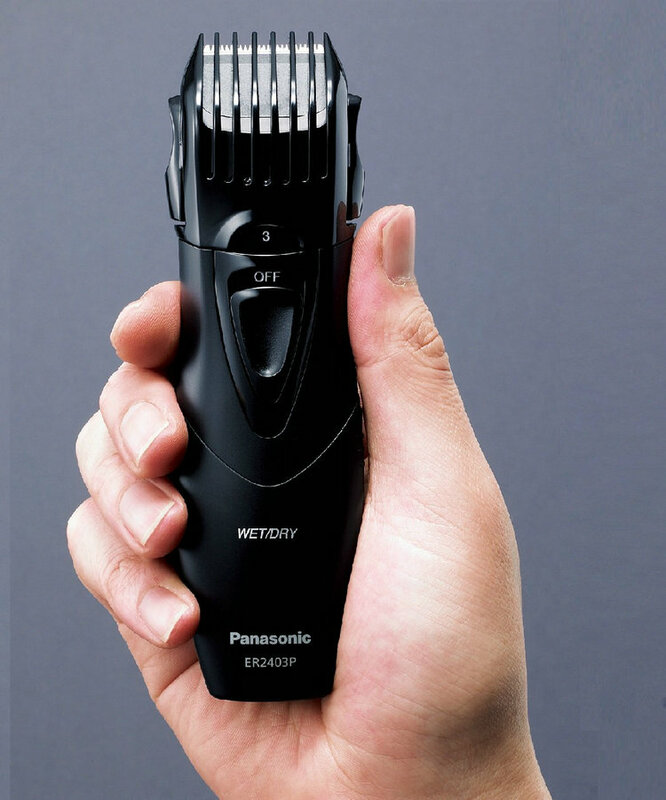 Using this beard trimmer, there is no need to worry about your safety. You can stand on the wet floor without having to worry about your safety or the device’s lifespan. There is also no worry about losing attachments. If you like to cut your hair, this should be the tool for you. There are many men out there who does not go to salons or professionals. They prefer to cut their hair. It is cordless which is the reason it is flexible and convenient and you can take it during travel. If you are thinking of drawbacks, there is nothing to say except for the device may lower in performance level after a year or so if you fail to take proper care of it. It is also not suitable for trimming long beard. It would be nicer if it came with a vacuum system. 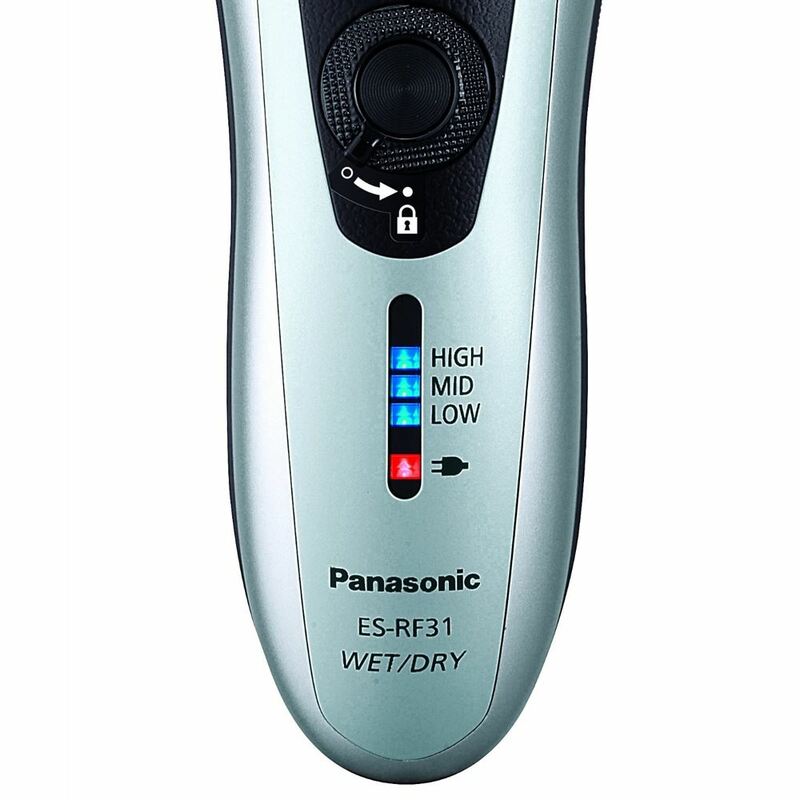 If you are a fan of wet and dry shaving, and want a cordless beard trimmer, pick this one from Panasonic. There is no doubt about the quality, structure and materials of this company. They have been successful since the beginning for manufacturing flawless and innovative products. The beard trimmer can be used on all beard types and the best part is the price tag is small. It is less than twenty dollars. The design is compact and solid and the stainless-steel blades makes it easy to use. It is a portable and flexible beard trimmer that can take care of complete facial hair trimming needs and grooming. No matter how dense, unruly or thick your facial hair is, the mechanism of this device takes care of it all. There are five settings that lets you style any way you want. You can clean it by dipping in water so maintenance is easy. You can use it in the shower to save time. You get a cleaning brush in the package which lets you clean the comb and blades. The device is lightweight and fit into anyone’s hands effectively. You can get 50 minutes of power by using this cordlessly. There is no need to stress about losing the parts because it comes through a pop-up head which is attached. You can take it in the bath or shower. If you do not have much time, you can rinse it under water. The weight is only 0.28 pounds which makes it super light. The box does not contain anything extra just the trimmer and the appliance oil and the cleaning brush. The shortest setting is not enough to get you a clean-shaven look but it can take care of the beard smoothly. There are two AAA batteries and you can open them easily. When you are looking for a reliable beard trimmer, it can be hard to find one. Even the devices from renowned companies such as Philips, Remington and etc. gets broken within a short duration. They are not cheap either. When it is about dependability, pick this one because not only is it cheap it works like a pro. It can let you style your beard any way you want without having to worry about charging it. Many consumers complain that the power is not as much as the corded ones. It is obvious because it runs on batteries. The strength it gives out is enough to work through thick and rough beards. You cannot compare corded and cordless power and expect them to be same. The corded will always be stronger because the power comes from an outlet. 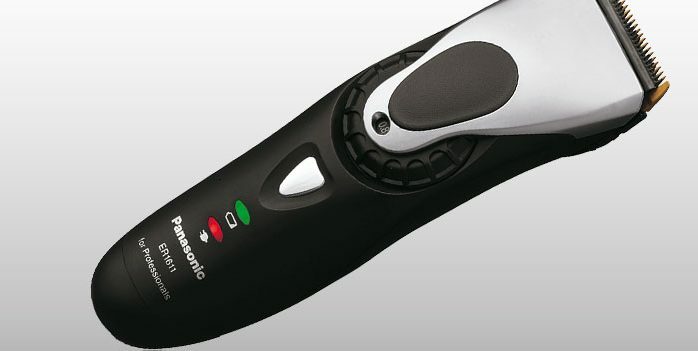 Here you will find all about the Panasonic Professional ER 1611 which is used for cutting both hair on the head and facial hair. Itis another product from the Panasonic hair preparing line, and one of their most recent advancements. The Japanese made cutting edge is honed to a forty-five-degree angle for effectiveness, with a more extensive surface territory than generally blades. You get 10,000 turns for every moment, from the powerful motor which makes it above 6,000 Panasonic’s other most famous models, making this somewhat of a monster. The control dial functions like a dimmer can be utilized for raising or bringing down the blade stature. There are five choices beginning at 0.80 mm, going up to 2.0 mm in 0.3 mm interims. The dialing makes the job painless and easy. You will cherish the straightforwardness of the outline on this model, despite the fact that it is one the propelled model available, the structure is simple. The entire item is in grey and black around the cutting edges, and two LED lights in green and red are determined to the front show to tell you when you will have to plug it in. The weight is only 160 grams and is extremely smaller than normal in outline for the power that the engine packs. From looking at its structure perspective, it is faultless, brilliant, and proficient, in addition to with the coordinating charger base looks pleasant in the event that you let it stand in front of others. The handle is intended to be anything but difficult to use from various edges and has great hold dissimilar to large portions of the metallic models on offer. With an hour of charging time you can get more than 50 minutes of continuous use on any hair sort. This choice can likewise be utilized between charges utilizing the power link, however this will take any longer to get full charge. It’s fundamentally for the utilization of close trims, and however it is promoted with the quick engine, it is not the best choice for especially thick or hard hair sorts. On the in addition to side however it is light, and does not make any noise by any means, making it perfect for using at home on a daily basis. Getting up and picking a fast grooming session is substantially less demanding with a quiet gadget. Furthermore, an hour of battery life when completely charged is amazing. You can trim through smoothly without any pulling or tangles. It is light and small unlike other Panasonic devices. Panasonic has been in the industry in the last 100 years and is famous for manufacturing electronics that are innovative and advanced. They have a reputation for producing electronics out of the best materials. Their Beard trimmer will allow you to trim your body hair and beard without trouble or mess because it is water proof. You can trim while you are in the shower and save time. If saving time is the main reason you choose beard trimmers over the typical razor, then this is the right one. Many devices are out there but lacks the water proof feature. Some are water resistant. There some advantages and disadvantages of using it. 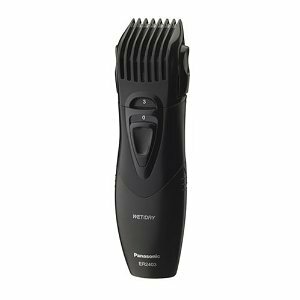 The beard trimmer comes with 14 adjustable hair length setting that ranges from 0.04 inches to 0.79 inches so that it can meet the requirement of most individuals. It is particularly useful for those people who wants to get the short buzz cut. It is easy to use because it does not have multiple length settings. The guard will get damaged fast when you want to detach the comb. To save the comb, you can alter the settings to 20. It is not anywhere in the instruction manual. Customers found it through usage and research. The trimmer will not change its setting during use because the wheel is locked. If you have sensitive skin, this should be perfect for you. There are no chances of allergies since the blades are hypoallergenic. You can get any shape you want. Never use it at a reversed position because you will cur more hair. It is fully washable so you can all the parts under water. You have to apply oil to maintain the blades. You have to charge it for eight hours and it runs on a nickel cadmium battery. It will operate for 40 minutes and you can have the advantage of quick charge. Do not overcharge the battery or plug it in before it is completely drained. It is cordless but comes with a cord for charging. 1. The way it is built makes it strong and long-lasting. With the proper use, you can make it work for a long time. 2. Many beard trimmer makes a lot of noise. It is not quiet but neither too noisy. 3. You can utilize it for dry and wet trimming. It will give excellent results. 4. It works perfectly when you are trimming the beard or giving yourself a haircut. You do not have to buy a different clipper for haircut. 5. It is not a challenge to learn to use this. Cleaning is also very simple since it can resist water. 2. It is difficult to trim in some areas and the guard can break. This entry was posted in Panasonic on December 18, 2017 by Professional Beard Trimmer Reviewer.